BY-MM1 comes out in compact size and light weight aluminium constructure, it will not be a heavy burden while shooting. Plug and play design,no need to worry the battery status. Included inside with a anti-shock mount,which can effectively reduce unwanted vibration, cable and handling noise. 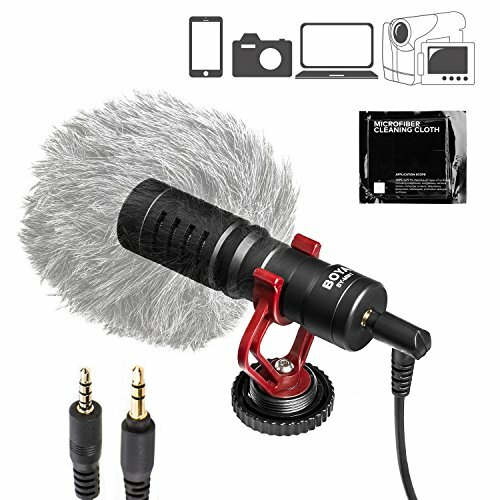 Also included a furry windproof shield,which specially used for minimizing the wind and environmental noise for outdoor recording, make sure the sound crystal clear. If you have any questions about this product by BOYA, contact us by completing and submitting the form below. If you are looking for a specif part number, please include it with your message.